Garden Blog #1 and other things. Oh, we’ve been busy in the Pilver house. I haven’t been working out of the house, so I am doing my best to save money around the house. This, of course, begins with gardening. 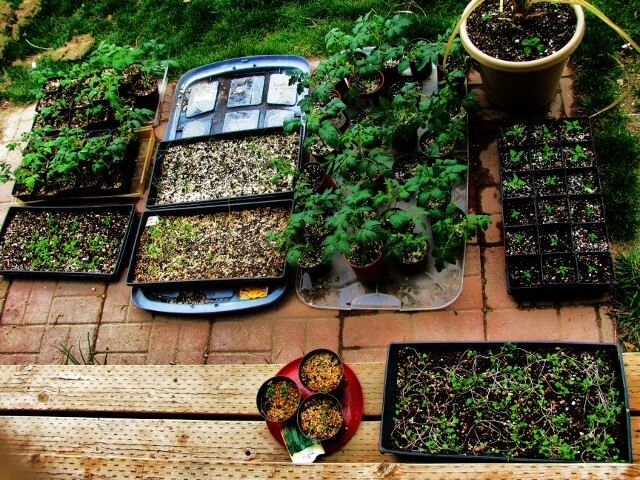 It’s the time of year to plant seeds and till the field. I know the work does not end when the plants are in the ground, but I feel as though I am trying to get the kids to bed and I can breathe a sigh of relief when they are safe in the dirt. Would you like to meet my new babies? Here’s what we’ve got: rosemary, peppers, tomatoes, straw flowers, leeks, daisies, broccoli, petunias, cabbage, and an avocado tree that is taking it’s sweet time sprouting. There’s plenty more seeds that need sowing, this weekend is the beginning of putting things in the ground, beginning with potatoes and onions. I’m really happy about the amount of food we are going to be able to get out of our back yard as opposed to the grocery store. I’m beginning to enjoy this whole aspect of not living in a city and not even driving to town every day. It did take a full two years to embrace it, but HOT DOG for the boonies! One other thing that has been done to save moolah: Washing clothes by hand. This is not fully by choice, my washing machine is broke and so am I. I did this before, when I lived in an apartment without a laundry room. It’s really not hard, it just takes time. However, I can see the benefit of having a washing board. I’ve been looking for one, but it’s tough to find one that is not being sold as an antique but for actual use. Finally, the kids, they’re still there and cute. 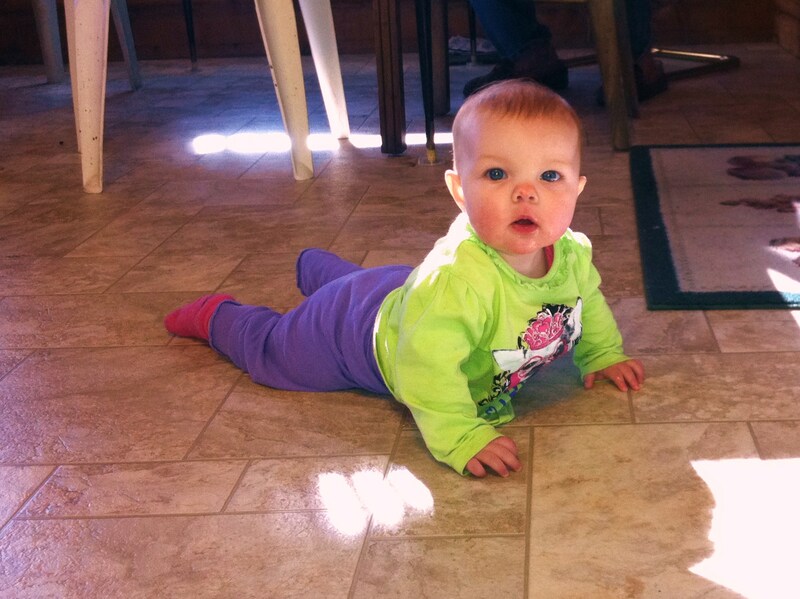 Lucy’s almost five months old and suffering from immobility frustration, she wants to crawl, walk, etc. but cannot figure out how to move where she wants to go. Usually she ends up under the coffee table, bonking her head each time she tries to elevate her body into the crawl pose. And then there’s Max, who is far too cool to pose for pictures any longer and then complains that I take too many photos of Lucy and not him. 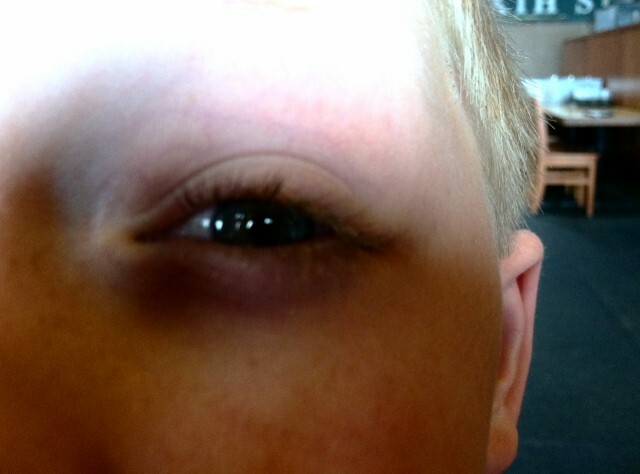 Then, when no one is looking he steals the camera and takes pictures of his eye. Happy Spring! Happy April! Happy Gardening Time!